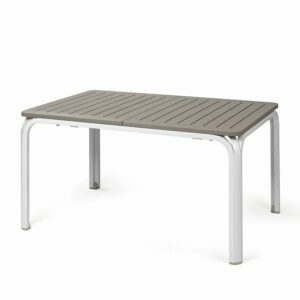 Designed & made in Italy, the Alloro 140 in the visually pleasing two-tone Taupe & White is a stylish ultra-low maintenance & easy to clean outdoor dining table. 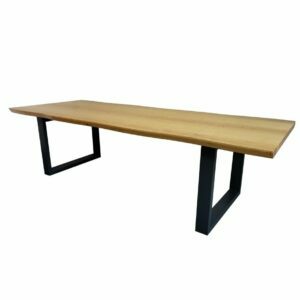 Built with a UV & weather resistant fiberglass poly-resin table top that has a faux timber slat look, and powder coated aluminium legs. Seats 6 at the 1400mm length, the top has an extending mechanism which will increase its length to 2100mm, allowing it to seat 8. 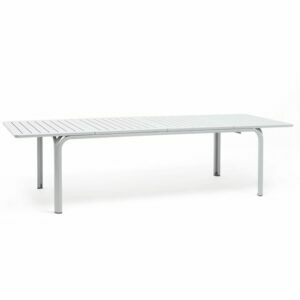 The Alloro 210 in White is an uber-low maintenance, extendable and easy to clean outdoor dining table that exudes contemporary European style. 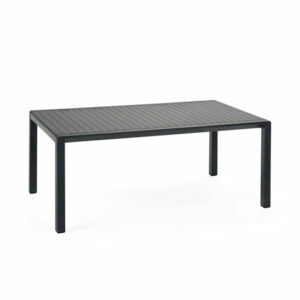 Designed & manufactured in Italy with a faux wood slat look table top comprised of UV & weather resistant fiberglass poly-resin, and powder coated aluminium table legs. The standard size 2100mm length seats 8. The top extending mechanism allows for that to extend to 2800mm, comfortably seating 10. 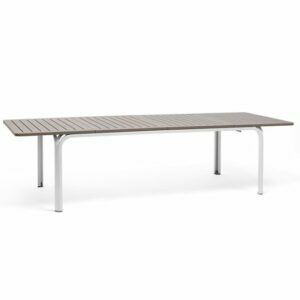 The Alloro 210 in the attractive two-tone colour pairing of White & Taupe is an uber-low maintenance, extendable and easy to clean outdoor dining table that exudes contemporary European style. 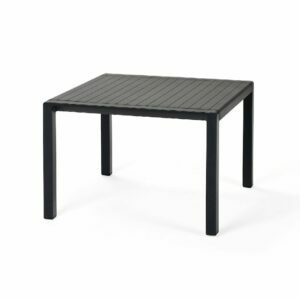 Designed & manufactured in Italy with a faux wood slat look table top comprised of UV & weather resistant fiberglass poly-resin, and powder coated aluminium table legs. The standard size 2100mm length seats 8. The top extending mechanism allows for that to extend to 2800mm, comfortably seating 10. 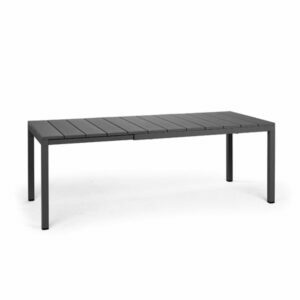 The eye-catching sculpturesque Levante outdoor dining table, with extendable functionality. A distinguished hole-punch punctured style that’s both beautiful and encourages water runoff. Seats 6 at its 1600mm standard length, seating 8 when extended to 2200mm. Cuboid legs made of powder coated aluminium. 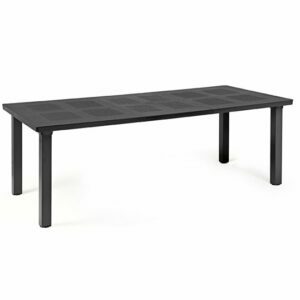 Tabletop comprised of high-end polypropylene & fiberglass resin that’s weather & UV resistant. 100% made & designed in Italy. A super chic patio focal point that’s sure to provoke conversation in a way that only Italian made & designed outdoor furniture can. 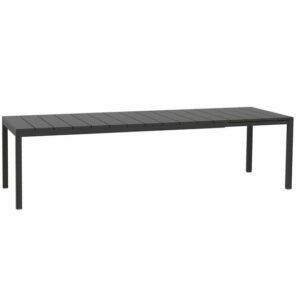 The Rio 140 is a simply beautiful outdoor dining table that seats 6 in its standard 1400mm length, with extendable functionality pulling out to 2100mm that comfortably seats 8. Manufactured with UV & weather resistant polypropylene & fiberglass resin, and outdoor safe powder coated aluminium. The Rio 140 has a faux timber slat & woodgrain design that’s ultra-low maintenance and easy to clean. The patio or deck focal point that conveys an almost sculptural presence in a way that’s near-exclusive to Italian made & designed outdoor furniture. 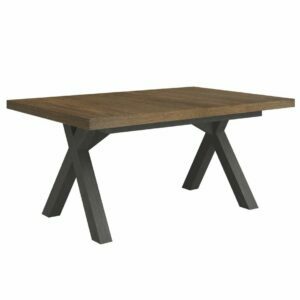 The Rio 210 outdoor dining table is classy and functional. Constructed with top-grade weather & UV resistant polypropylene & fiberglass resin, and powder coated aluminium legs. Its faux woodgrain and timber slat design is ultra-low maintenance and extremely easy to clean. 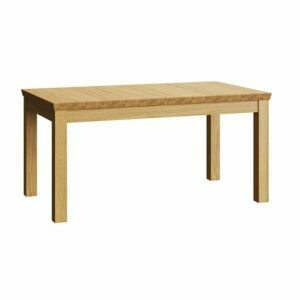 Seats 8 at its 2100mm base length, seats 10 with ample room at its 2800mm extended length.